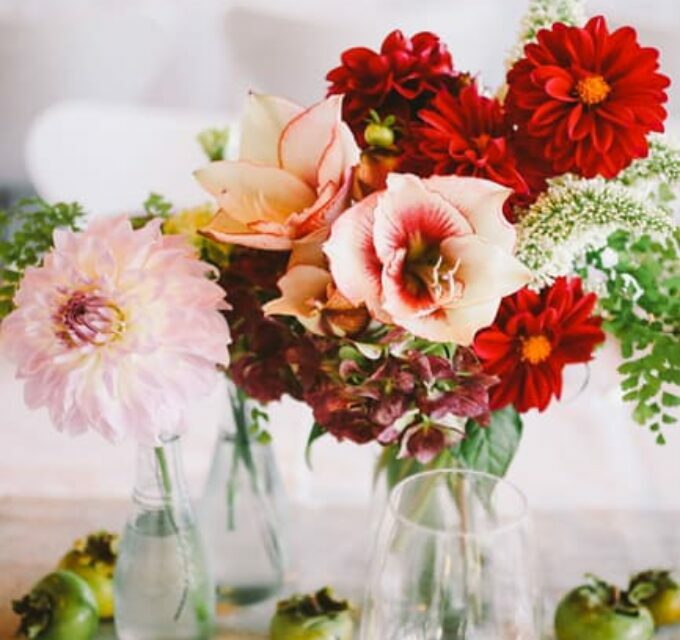 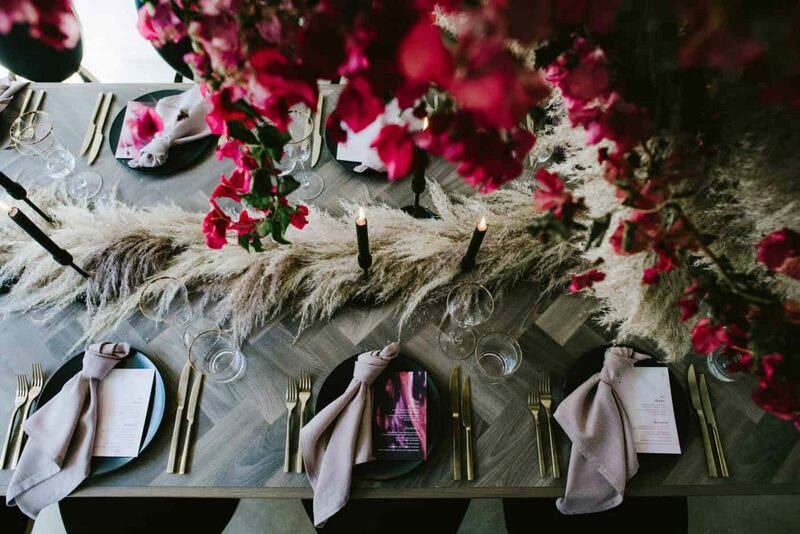 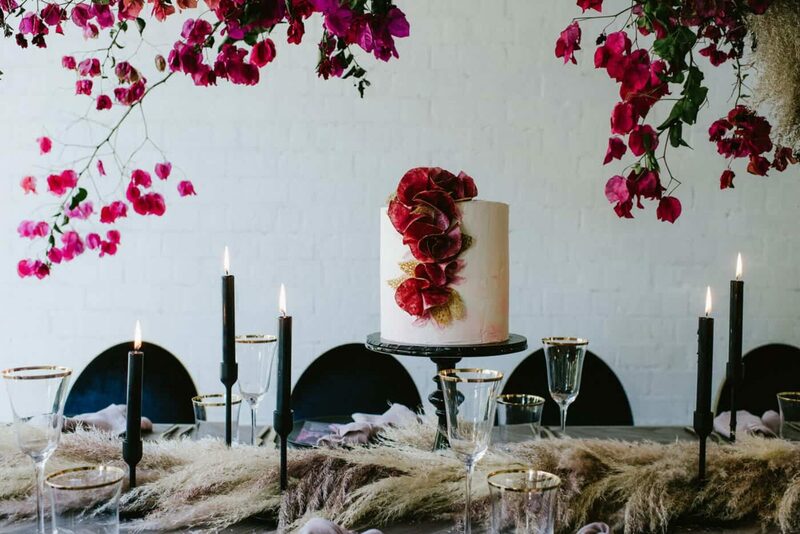 Styled by Flights of Fancy by Kristy, this modern bridal shower combines a contemporary aesthetic with textural elements and a bold colour palette. 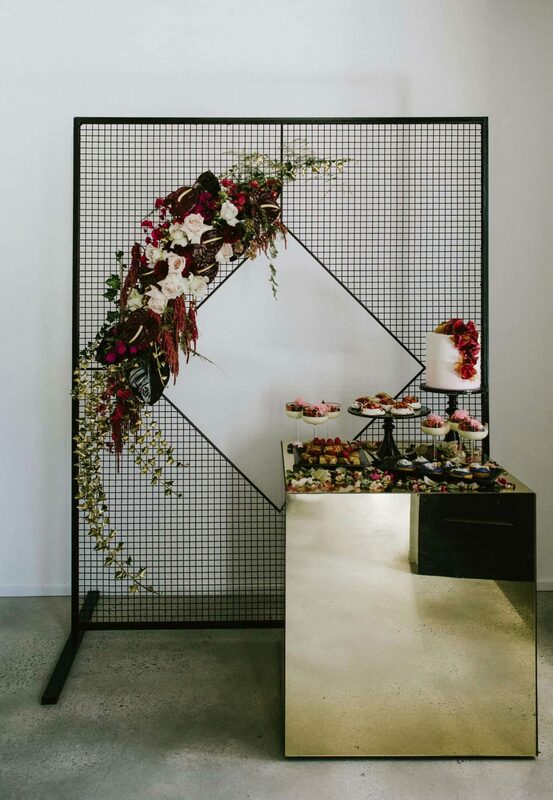 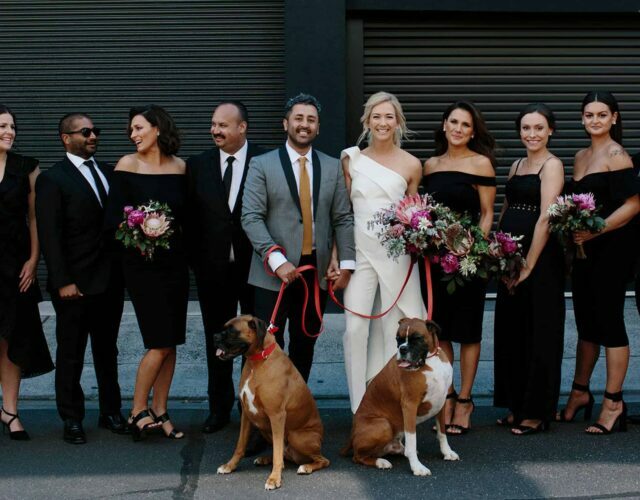 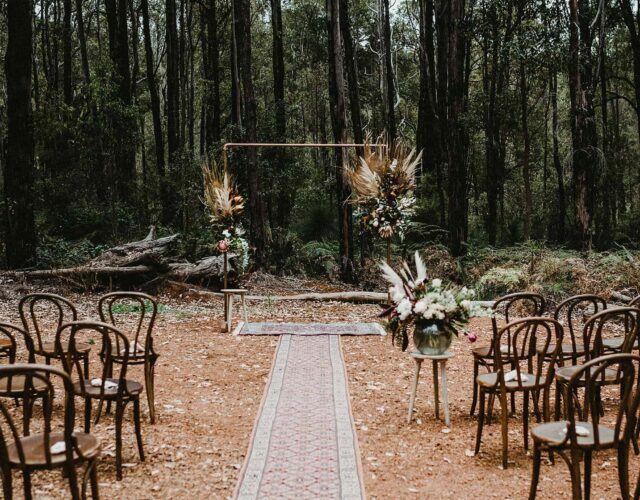 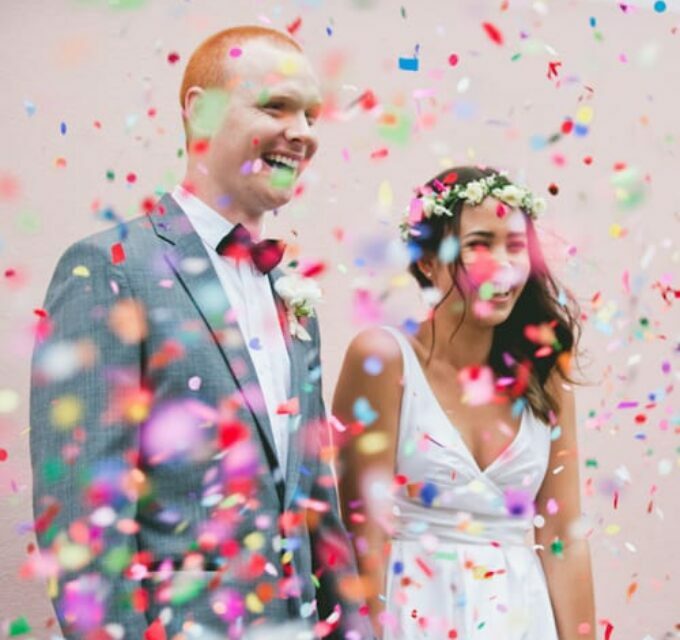 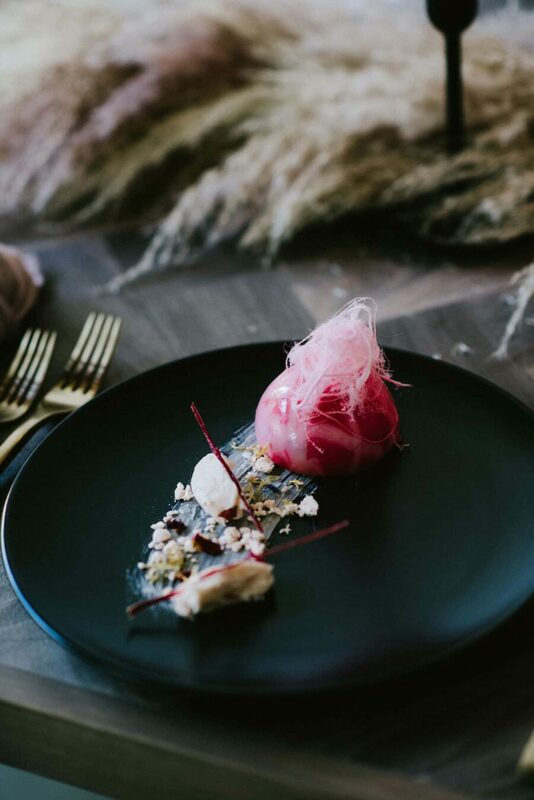 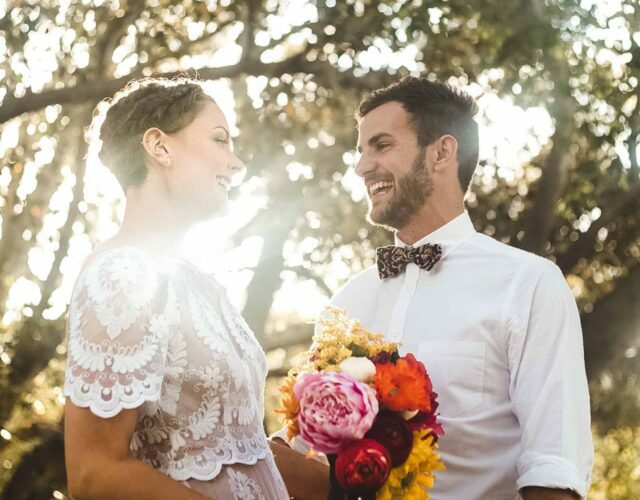 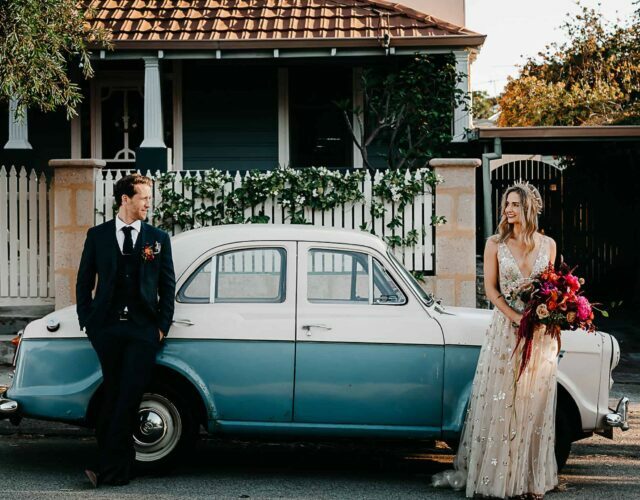 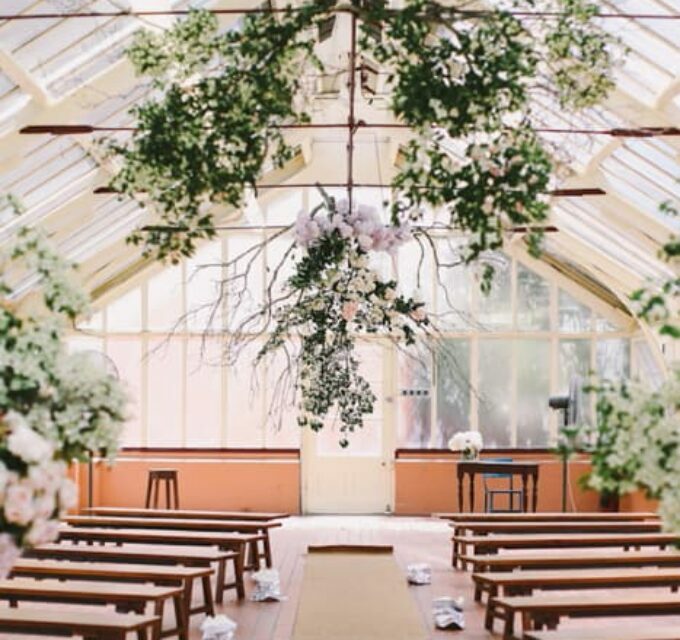 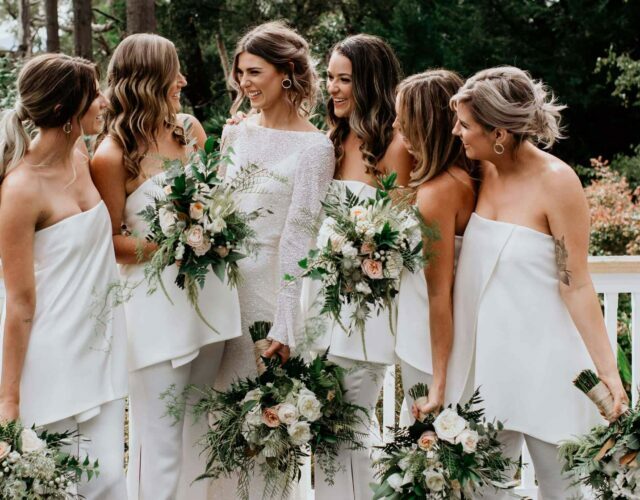 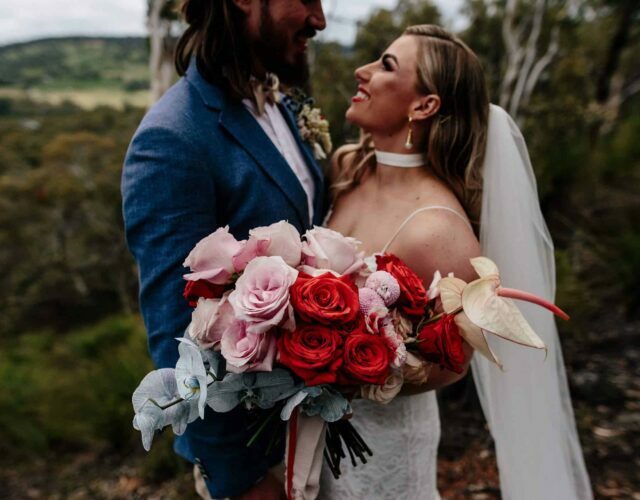 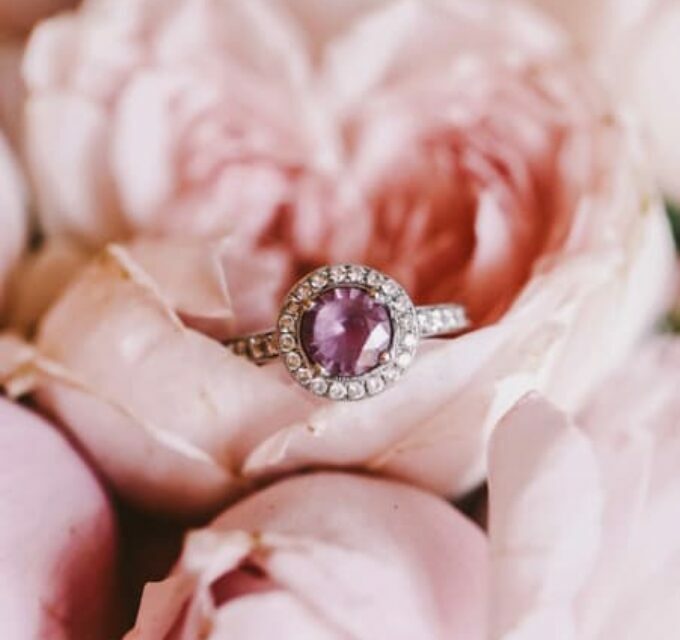 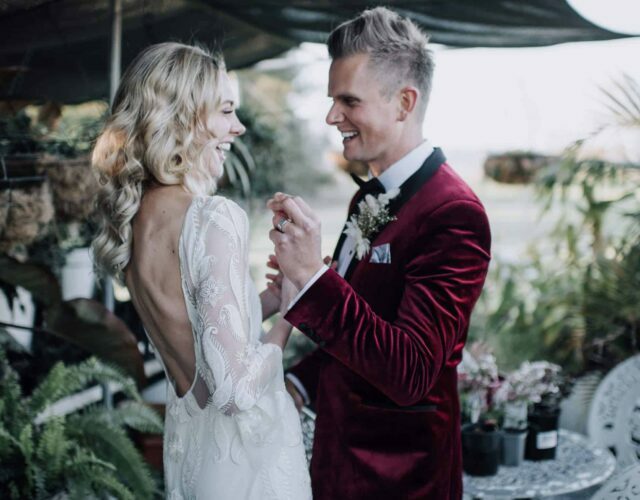 Captured by CJ Williams Photography, the soiree called upon a team of stellar Perth based creatives. 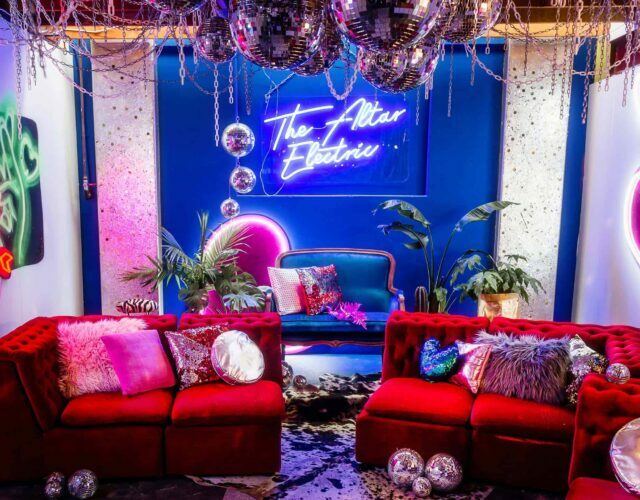 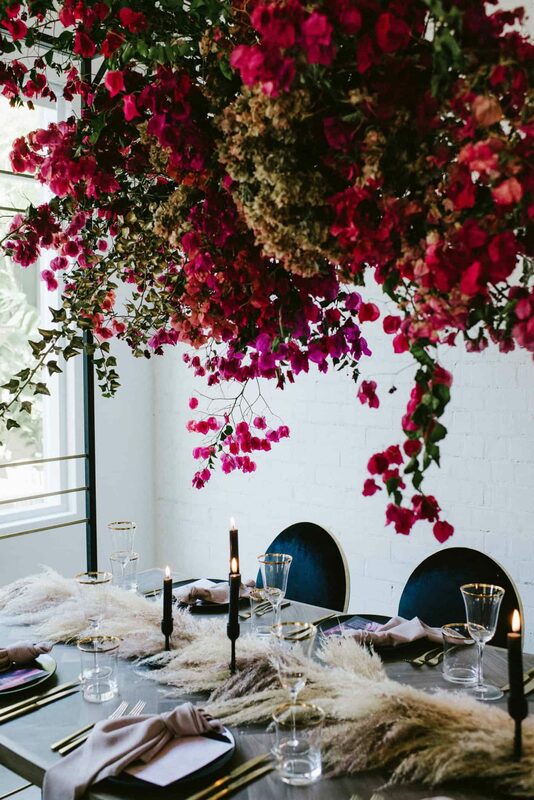 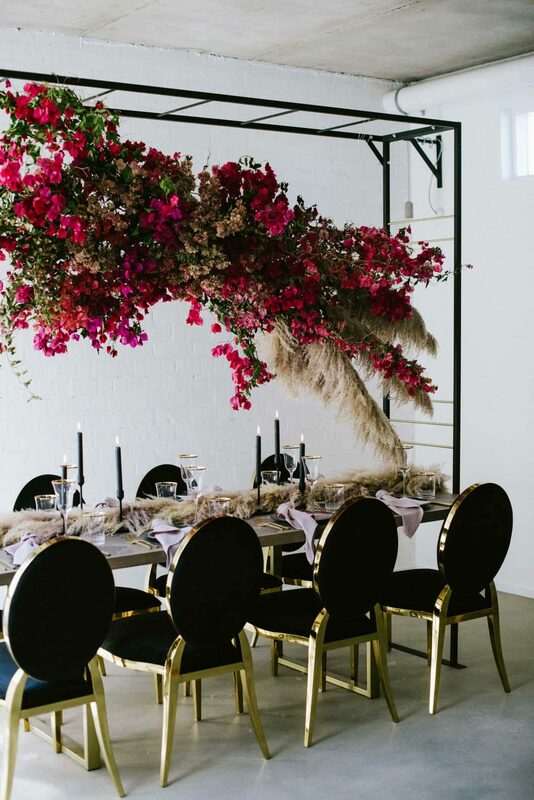 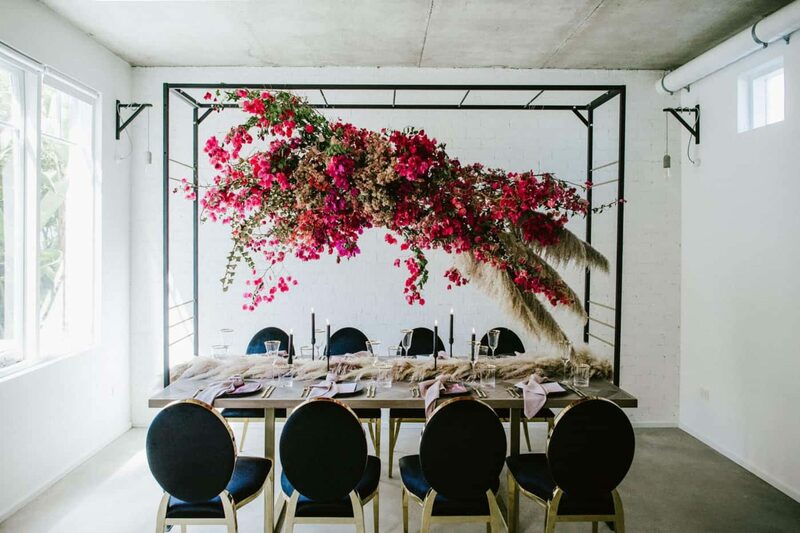 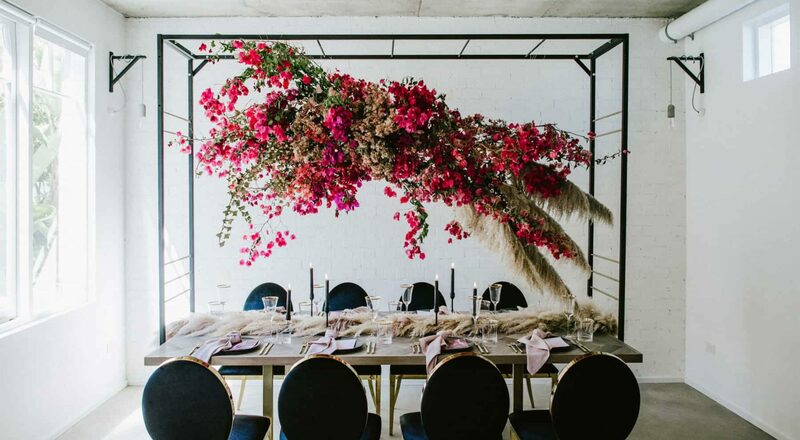 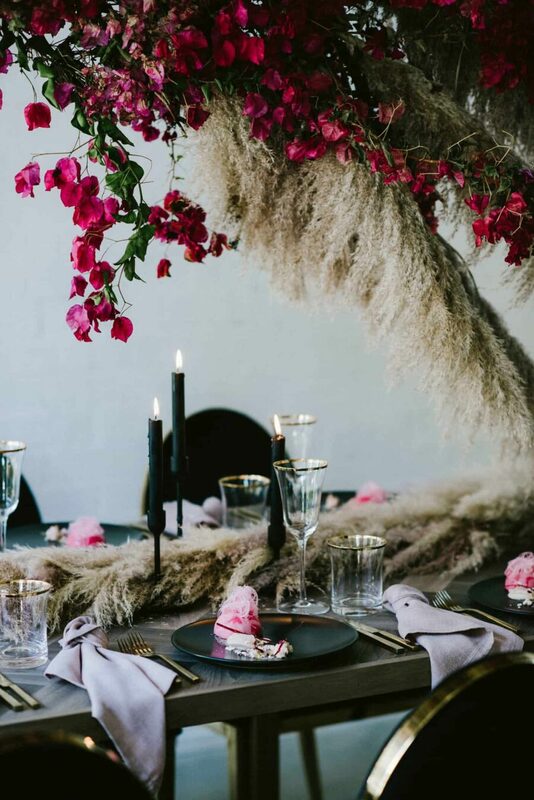 An epic floral installation of bougainvillea, pampas grass and gold foliage by SIR Botanical formed the dramatic centrepiece, floating above the table like a hot pink cloud. 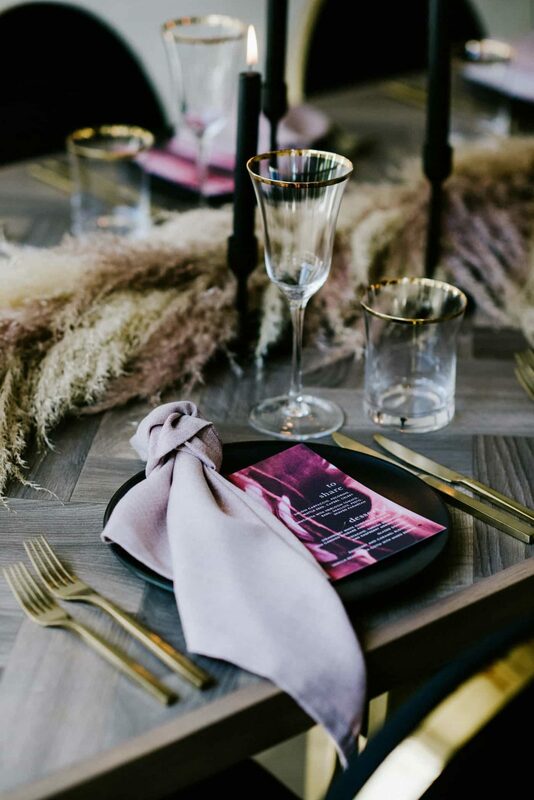 Velvet and gold chairs, blush linen napkins and gold accented tableware from Event Artillery added a touch of glamour against the natural textures of the wooden table from Maisey Collections. 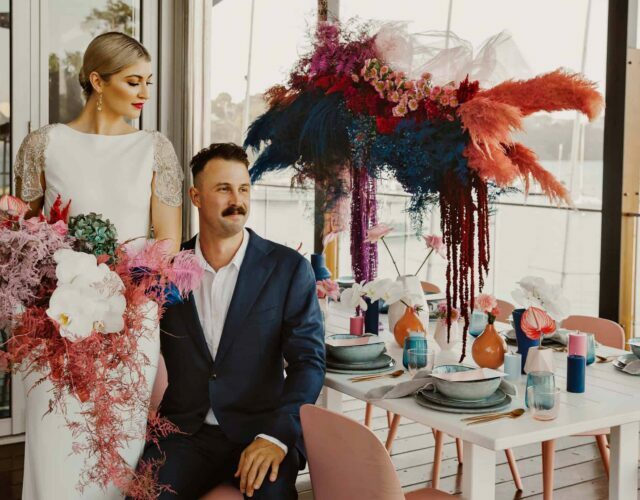 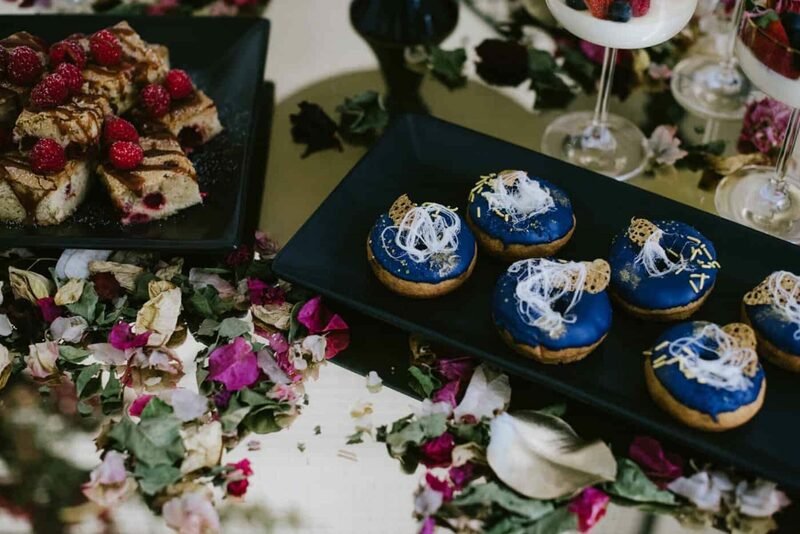 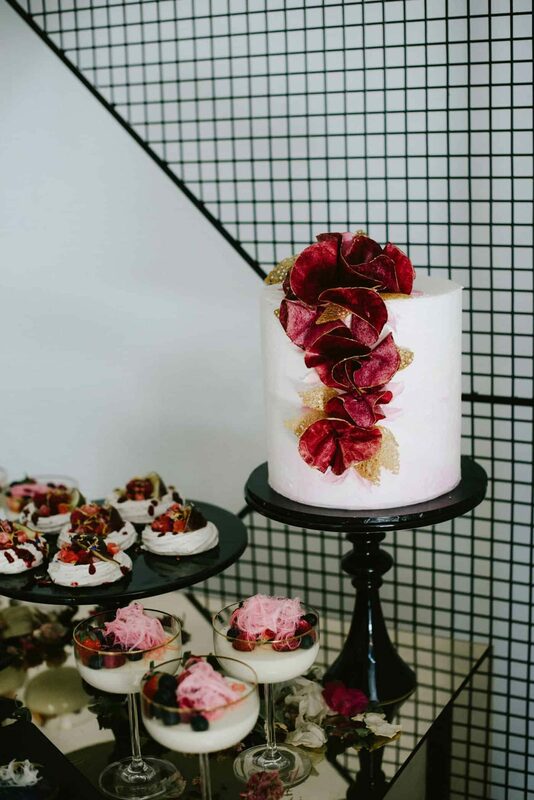 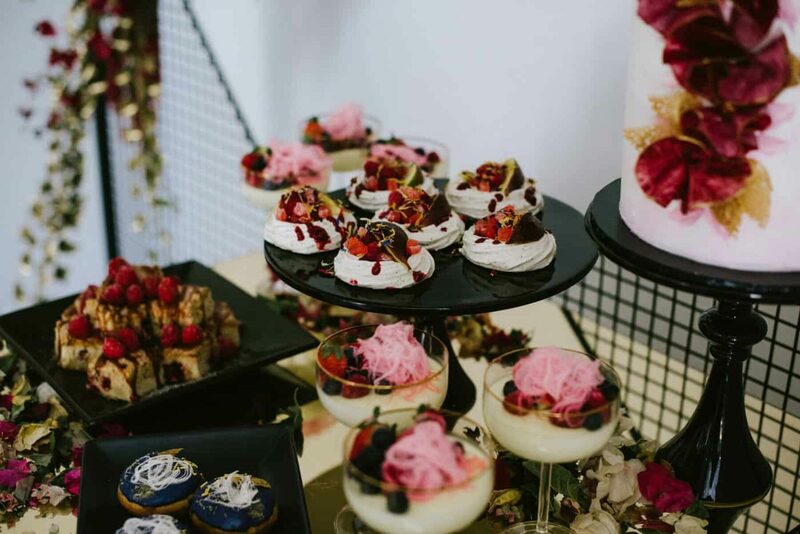 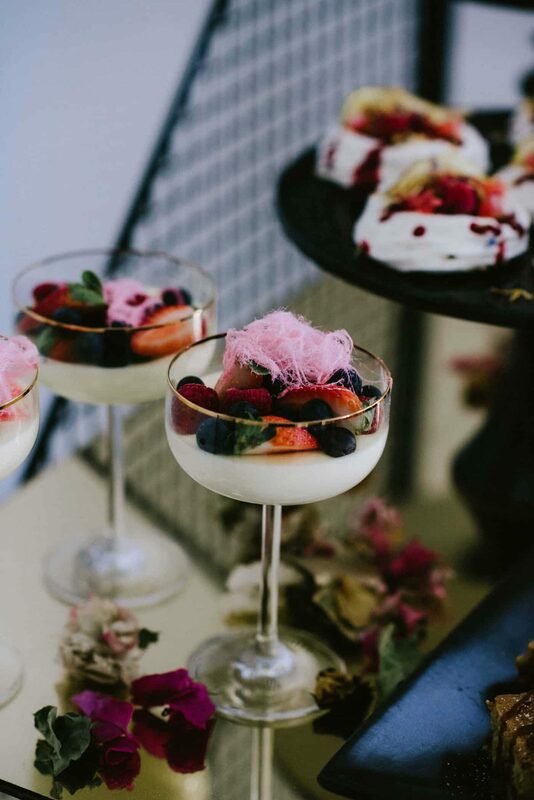 Stationery by Paper Fusions and a too-pretty-to-eat dessert table by Verlena Cakes complete the colourful and contemporary theme of the shoot. 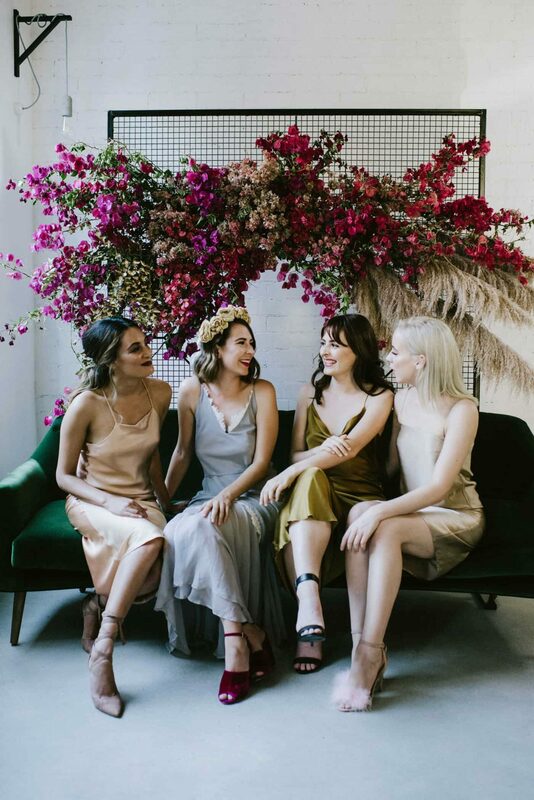 Contrasting against the brighter colours of the setting, the girls wore satin dresses by Maevana in earthen tones. 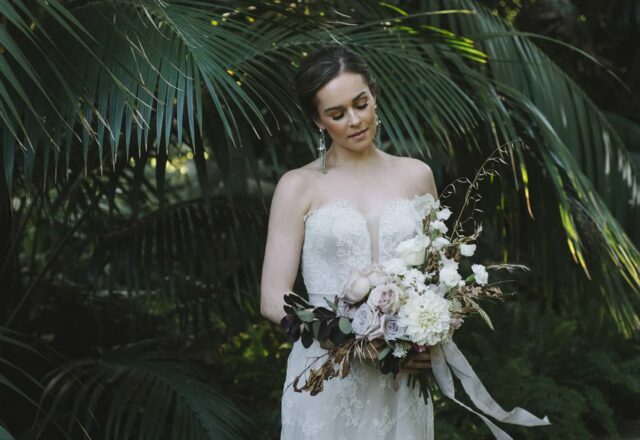 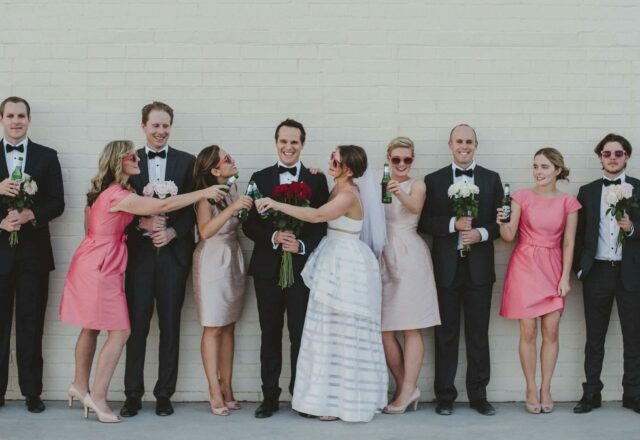 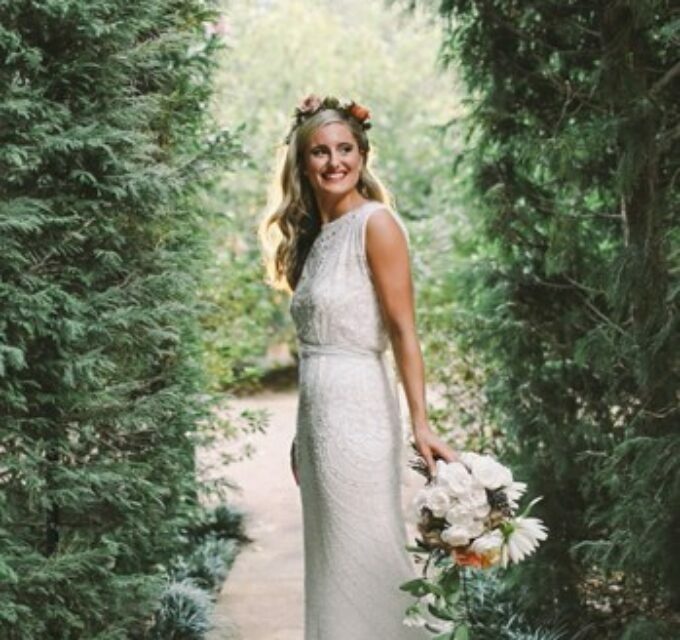 Walking the line between the perfect party and wedding attire, the bride’s dove grey dress with lace detail also comes in white. 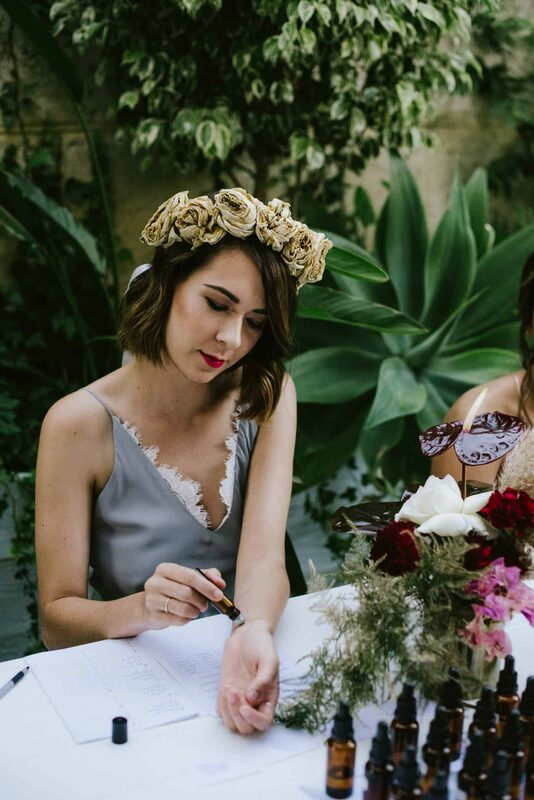 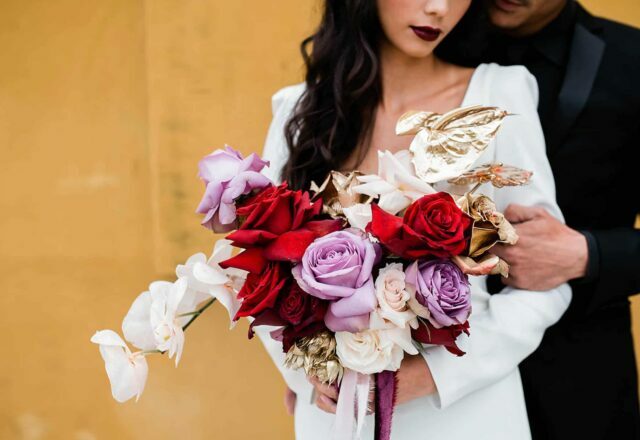 Using semi dried roses, SIR Botanical offers a different take on the flower crown, and on-trend hair and makeup by Suzanah Soffian complete the girls’ killer party looks. 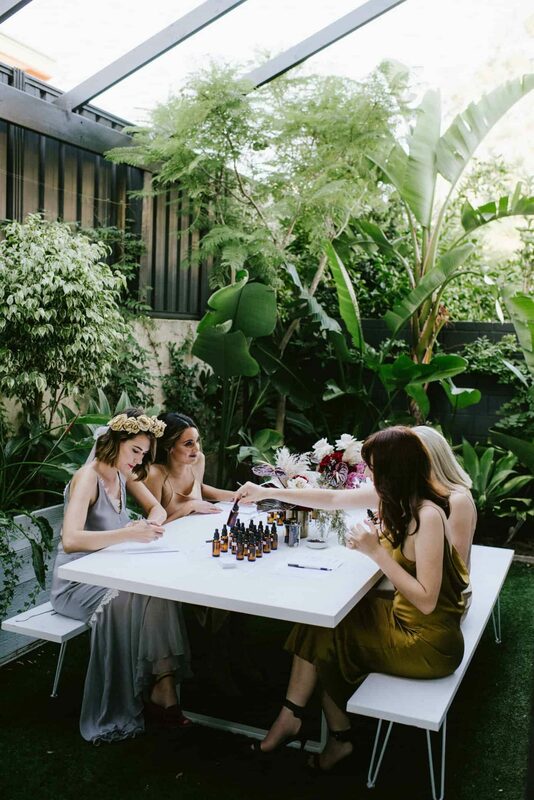 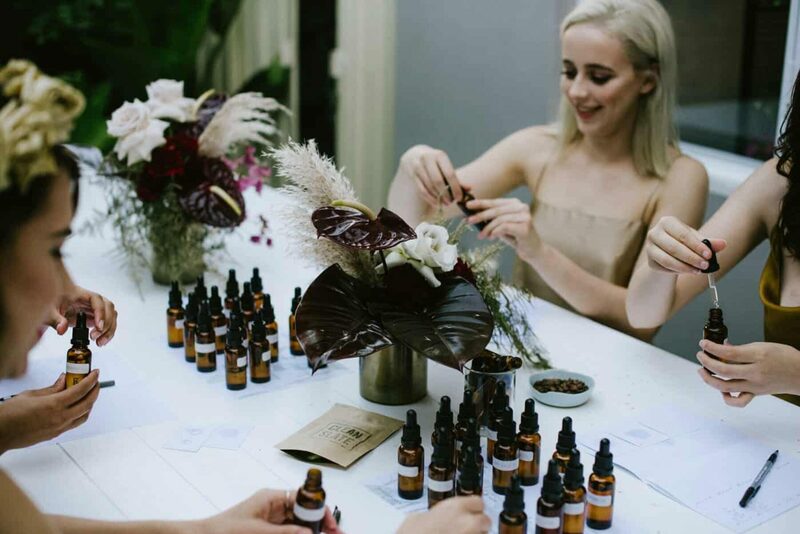 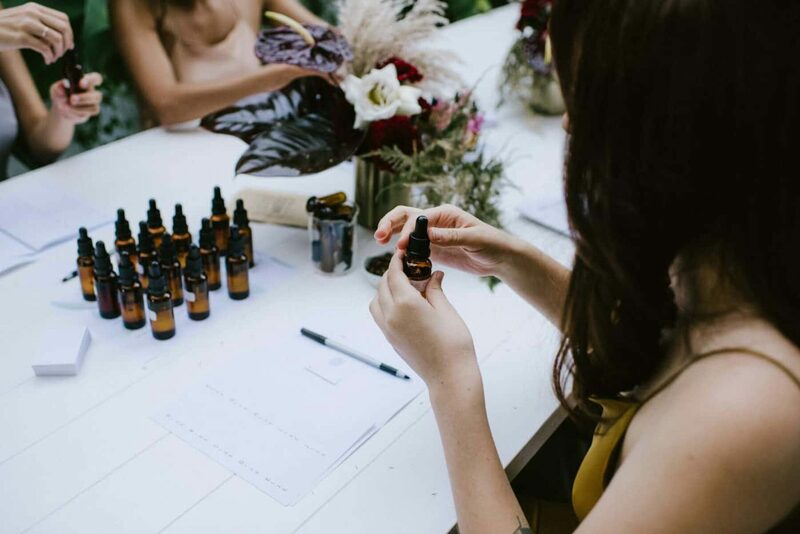 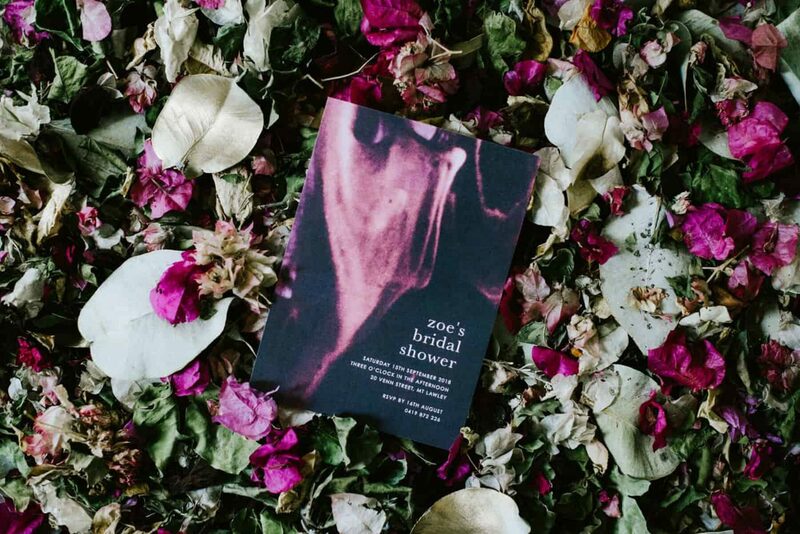 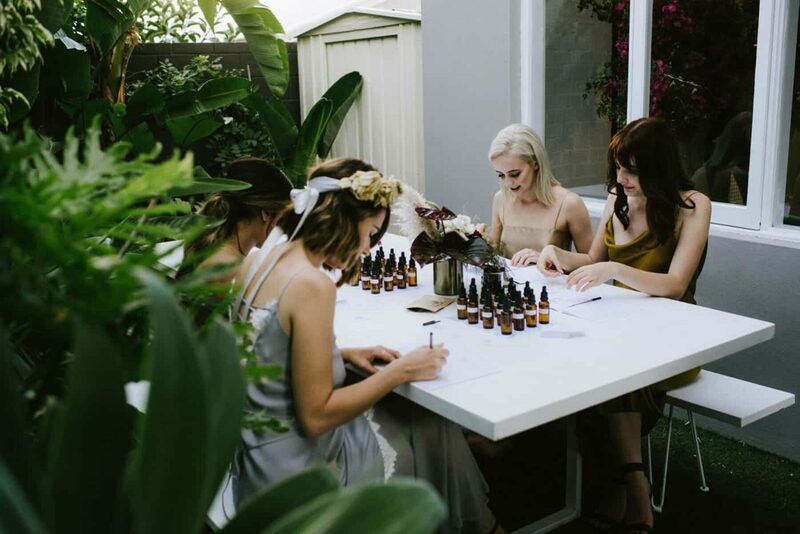 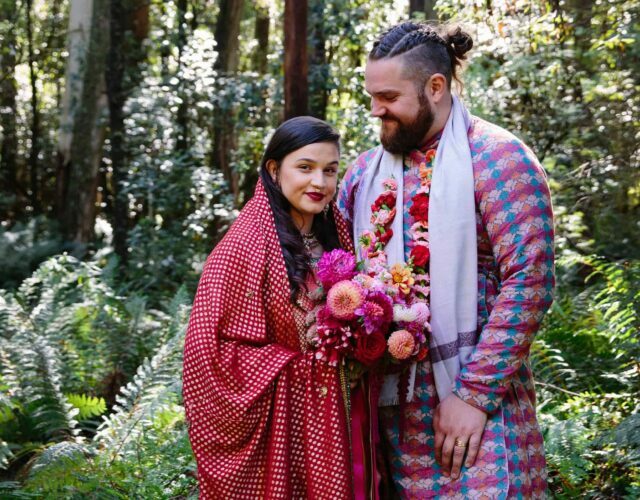 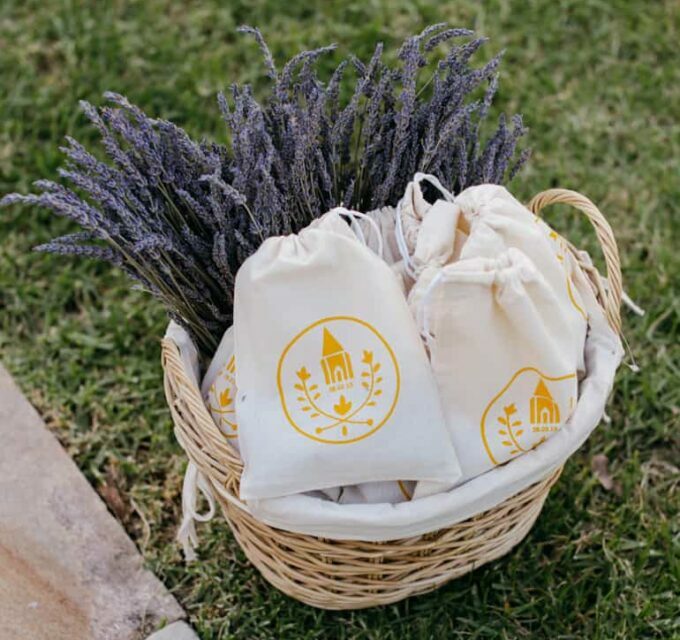 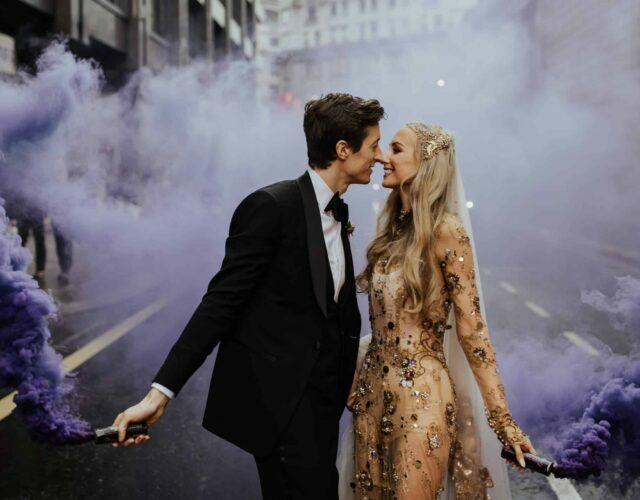 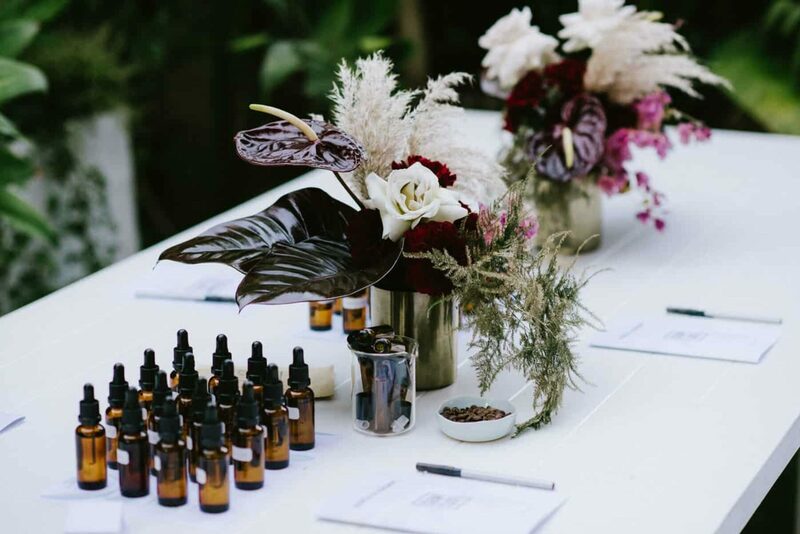 The bride and her tribe created personal scents in an Essential Oil Blending & Natural Perfumery workshop by Clean Slate Skin Care, sampling different perfume and creating their own essential oil belnd. 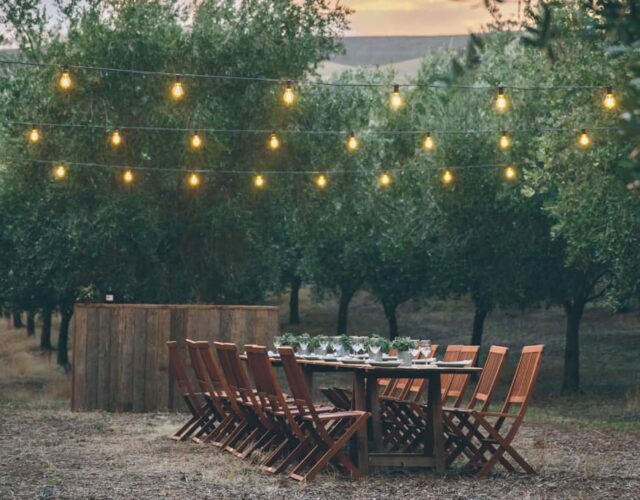 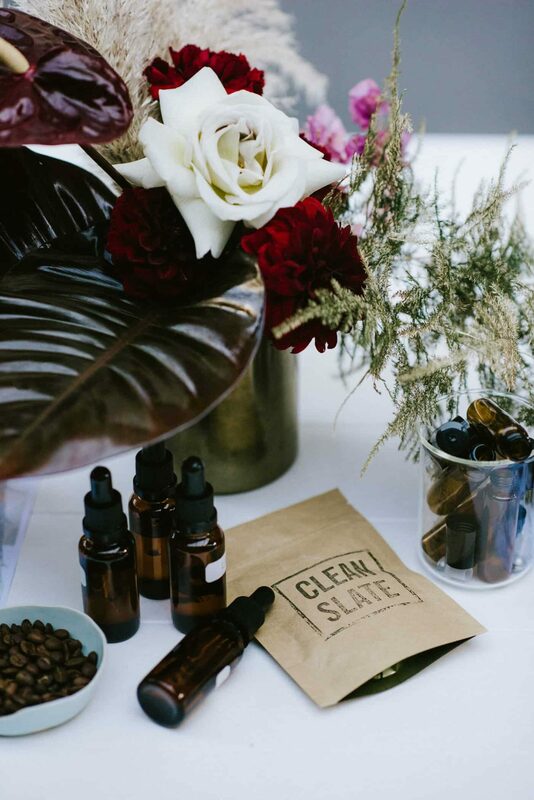 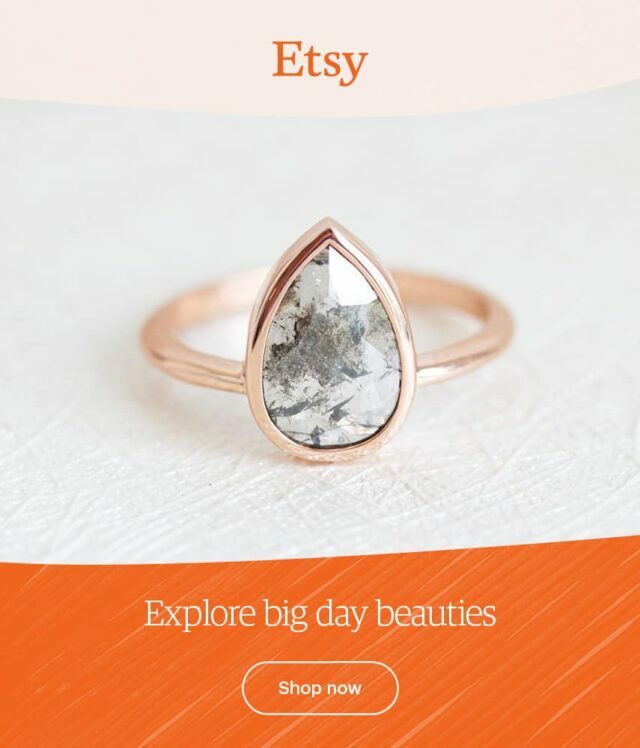 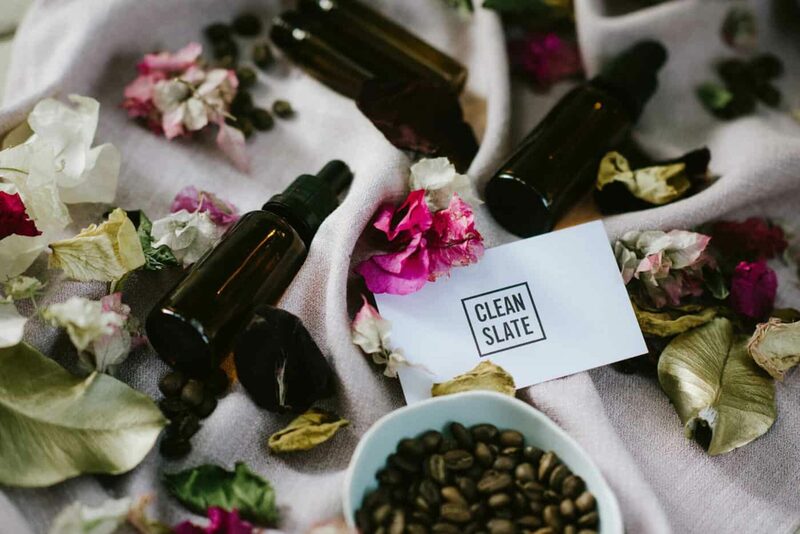 In addition to natural perfumes, Clean Slate offer an array of enlightening, fun and unique private workshops perfect for groups of friends, including candle making, custom skin care and sprays and mists.